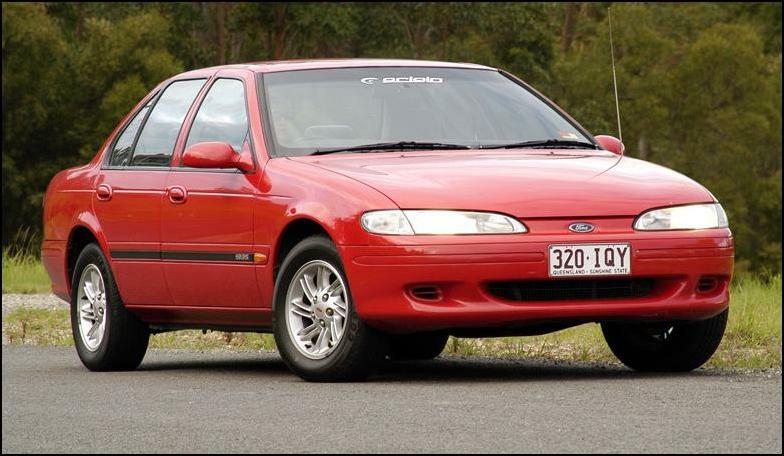 I think this (apparently uniquely Australian) idea that big family cars need to be rear wheel drive is simply rubbish. You hear it all the time – rear wheel drive is best for towing, rear wheel drive is best for handling, rear wheel drive is somehow hugely superior over front wheel drive. Well, apparently it is for the macho Australian male, anyway. From the day I first bought a car I have never been a believer in the philosophy; in the time since I’ve owned rear wheel drive, four wheel drive and front wheel drive cars – and I have remained unconvinced. In fact, if anything, I think I am leaning heavily in the direction that rear wheel drive, without traction control (or better still, stability control) is potentially bloody dangerous. Today is a perfect example. I’d bought a big workbench on eBay – and this morning I had to go pick it up. The thing is enormous – much too big to fit on my normal 6 x 4 trailer. So I organised the hire of a car carrying trailer. When the alarm went off at 5.45 am (pick-up was set for 8 am) I awoke, listened for a moment, and then my heart sank. I needed to go down the narrow, tortuous road from the mountain on which I live, pick up the huge trailer, then drive straight back up the mountain, descending the other side on an even tighter, narrower road. All in Frank the EF Falcon, a car which even without a trailer hooked on the back, power oversteers around these wet and slippery corners even when you’re trying to drive gently. Perhaps it’s the tyres – and the rears are certainly down in tread although still quite legal – or perhaps it’s the sheer torque and throttle response of the 5-speed manual Falc. But either way, it’s a car that in the wet needs to be treated with an incredibly judicious right foot. Even when you’re not towing a huge trailer with a 300kg workbench strapped to it.